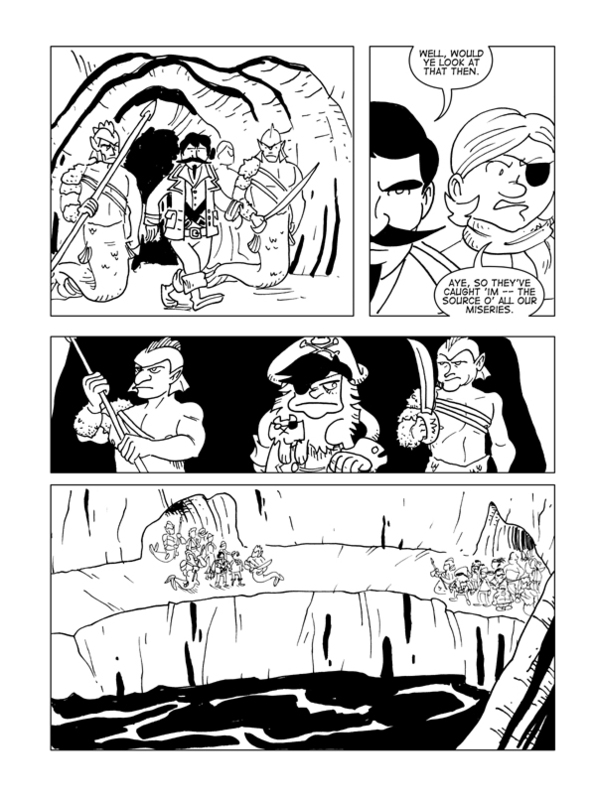 The Tides That Bind, Page 35 – Catbeard the Pirate! Have you been to the Catbeard Facebook page? Check it out for a look at the thumbnail to today’s comic! You can see the rough beginnings that a page takes! I just finished my entry for Emerald City Comicon’s Monsters and Dames artbook. Keep your fingers crossed for its acceptance! If I don’t make it in, I’ll post it up here for everyone to see. If I DO make it in, you’ll have to wait until next March! Come back next Wednesday for another page, where the story starts kicking into high gear!